How can I test my method from Workbench ? So when I switch to Post, there is a Request Body that appears and I don't know what to fill in it ? Some JSON ? When do I indicate that I'm using the getAccount method ? If I use Post method, what do I need to fill for the 2 fields ? /services/Soap/class/WsMyWebServiceClass... ????? Request body ? 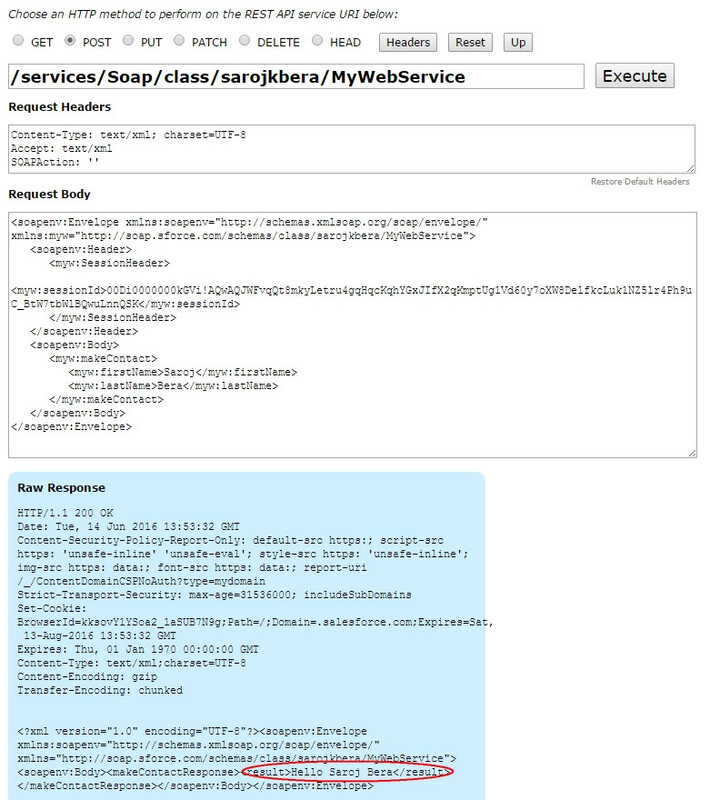 Here is how I have tried using workbench to test a SOAP web service. Hope this helps. 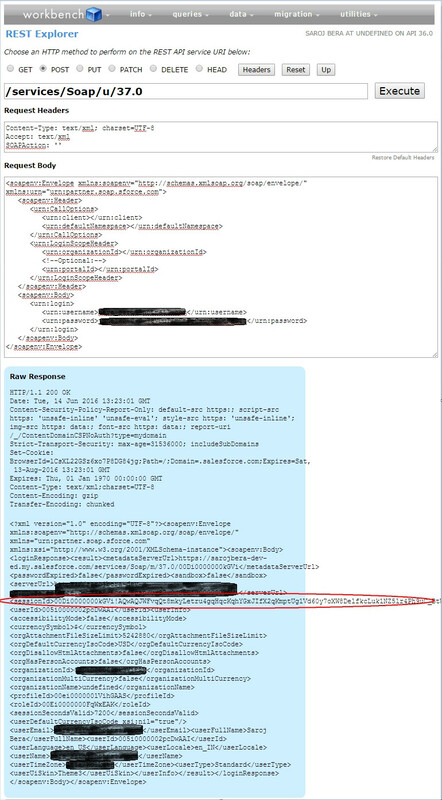 First you have to get the session ID by passing a Soap request(I copied the request XML from SoapUI) to login method of the Salesforce SOAP API. Execute it you will get the webservice response. In the response you will get the session ID. Copy it and keep it in your notepad to call your Apex webservice. For next call you have to use the following details. Here I have used the generated Soap request from SoapUI. Put the session ID (obtained in the previous step) in the request XML. Execute it and you will get the Webservice response as below. Thanks so much for your detailed answer. I can get the sessionId from SOAPUi or from Developer Console : system.debug(UserInfo.getSessionId()); So this is not a problem. Not the answer you're looking for? Browse other questions tagged webservices soap workbench or ask your own question. Making Apex Callouts to consume Custom Apex Web Service STEPS? How to expose a Custom Web service class in Salesforce Sites?